Tusong, what happened was that you didn't' log on for over two years and got caught in a purge.That is merely a function of the system, there were something like 5,000 User names purged about 2 years ago. I bought my first motorcycle when I turned 50 because I thought I should have one. Thought I'd get a Harley like a lot of guys my age, but the more people I talked to about the kind of riding I wanted to do (sport touring), everyone said, "get a BMW". As it happens, there's a BMW shop 5 miles from my house, so I dropped by one afternoon & a month later I bought a black 2002 K12RS... great bike. 2 years later I made the mistake of test riding a K1200S... I couldn't get to my wallet fast enough! Man, what a bike! 80K miles & it still blows me away. In 2011 I got interested in Moto Guzzi's. My riding buddy had an '01 V11 Sport which was cool but when I saw the V11 LeMans, I had to have one. Found mine in WV & absolutely love it! It's so much fun to ride & is a great looking bike. A year later, I found a '74 Eldorado Police bike that I tore down to restore. That effort has been painfully slow & a long time, not really, work-in-progress. At some point, I hope to add the Griso & if I'm lucky enough to find one, a 1000S. Anyway, glad to be here and hope to find some local expertise that can give me some restoration help & pointers getting my Eldorado back together & on the road. It's been collecting dust way too long! I'm Lyle and I'm retired in Manitoba, Canada. My first bike was a 750 Norton in 1971. I've been hooked on twins ever since and I'm in search of my first Guzzi. I'm really liking the California Vintage. My current bike is an '82 Yamaha XV920R that I built up from a parts bike into my own sport tourer. It's the newest bike I've owned and I like it fine but with it being 36 years old I never know when something or other will fail, which is fine for local riding but I'm hoping to do some touring so I want something newer with a more relaxed riding position. Anyone who has owned a Cal Vin seems to rave about them for all the right reasons. I'm looking forward to having something to contribute here. I loved that Yamaha put over 80,000 miles on it. Have gone almost full circle. 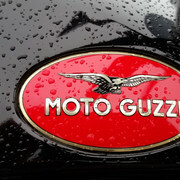 Picked up a couple of Guzzi, Griso reminds me of 920! Plenty of test rides on your horizon Steve. Reintroducing myself, because much has changed in five years. 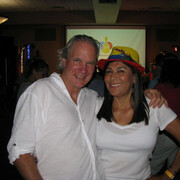 I retired from the solar energy job and just turned 70. Happily remarried and living in an 1894 farmhouse just outside a tiny town on Colorado's west slope. 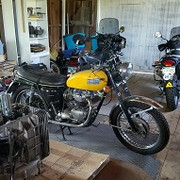 Regularly riding my Mille GT with an SP fairing; a BMW F650 Funduro; and the 1970 Triumph TR6R which, after a five-year restoration project now runs like new. I have my old 850T stripped down for new bearings and everything else, and all parts in hand for the rebuild, so what am I waiting for? Still teaching skiing, this year at Snowmass after 20 winters at Vail. Life is pretty damn sweet. Oh, yes: Riding since 1964. My first real bike was the 350 Sprint, bought 1970. I am psyched to write my first message here as I just put down a deposit on a very neat 2016 V7 II Stone and join the Guzzi family! My name is Ken, I'm 63, retired last year from a career as a mechanical engineer, married with two kids in the process of leaving the nest (after having soiled it!) I live in Seattle. I always planned on having a Guzzi when I was an old man, and now I'm getting there. Bought a 1970 Ambo that I found on a vacation to northern Michigan, researching family roots. It's complete, runs (poorly) with 10,000 on the odo. Going to do a non-concours resto, getting all mechanicals, etc. up to snuff then going riding. Next project will be a Tonti-framed Cali conversion to some sort of brutalist bobber. Hi, I am Richard aged 44, self employed and from Melbourne, Australia. Currently don't own a bike and sitting on the fence as to whether I should purchase a Moto Guzzi Eldorado, Custom or Audace OR purchase an Indian Scout but please don't hold that against me. Name is Duane from Seattle. 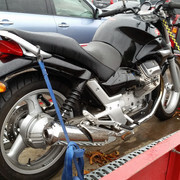 Just picked up a 2007 MG Breva 750 with 3500 miles on it. I paid $1800 for it, how could I not buy it? I've wanted a Guzzi for a while now, in fact I bought a cheap Honda CX500 because someone told me it was Honda's reaction to Guzzi. Not the same obviously! I've ridden a V7 before and liked it. I decided I wanted a nice touring bike to just maintain and ride. I've had and restored old Hondas in the past but old bikes are for wrenching and looking good at the local hang out. I'm hoping to do more longer road trips having a fairly newer and low miled ride. Happy to be part of the Italiano moto party! BTW I do my own work so I'm looking farward to mingling on the board for info on working on Guzzis. New here, hope to enjoy the forums. Currently no bike, but always looking for my next ride, and it could possibly be a Guzzi. Also into lots of other hobbies, too many if I'm honest, including shooting (air rifles), fishing (fly), reading, anything (but mainly sci fi), console gaming (everything, PS4, Xbox, Nintendo, old and new), travel (like cruises), also like eating out in nice eateries, enjoy films and music (anything) and am a bit of an Airfix and Lego geek too! and of course cars and bikes. Kent's one of my favorite places to visit anywhere, I've ridden around in it and walked around in it, and if a thatched cottage in a little village didn't cost north of half a million, I might be living there too! My name is Donnelly Hall of Keavy Ky. Male,75 years of age,and run a MC shop for a living. Never saw a MC I didn't like. Been riding for 64 years but only got into Guzzi 19 years ago! I past the Keavy gro store on morning back a year or two ago . Saw a guzzi there. Didnt stop to say hello as I was running a little late. Sorry now that I did not. as my tag says, I am a newbie. Just got a 2015 V7 and I love it. 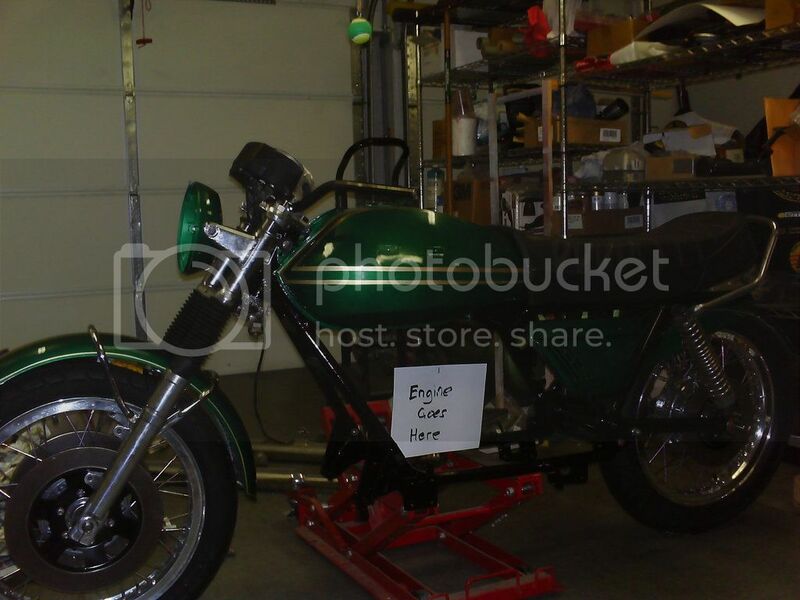 It has the orange flare and some sweet looking rear bags that make it look like a real classic. Riding here in California in the Monterey area and love it! 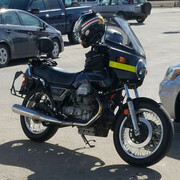 I just purchased my first Moto Guzzi. I picked up my Azzurro Elettrico (blue) 2017 Moto Guzzi V7 III Stone earlier this month. Apparently, another dealer went out of business, and the manufacturer auctioned their inventory to dealers. I purchased my bike from AF1 Racing in Austin, Tx. They recently sold a 2015 and 2016 V7s, but still have three 2017 V7 III Stone bikes priced at $6490. Hard to find a brand new motorcycle at this price point with same features. Bike has a one year warranty. I was looking for an entry level bike that my wife and or daughter could ride. 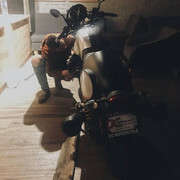 This is my third motorcycle. I own a 2017 Ducati SuperSport S and a 2014 Ducati Multistrada. I am 51 and have been riding about 15 years. Waited until kids were older. I live in Austin area (Leander) and mostly do hill country rides. I try to do a couple of track days a year for fun. Circuit of the Americas is an incredible track to ride, and we are lucky to have this in our back yard. Ridesmart is a Texas school that sponsors track days at multiple tracks in Texas. I am in the real estate/property management business. I have enjoyed the bike and look forward to putting more miles on it. Hi there! I'm Tony. I'm from New Zealand and have lived in London before moving to Madrid, where I currently live with my Spanish wife and 22 year-old daughter. I work in software development in the investment banking sector. I've had a V9 Bobber since March 2018. I'm a not-so-young newbie motorcyclist, and this is my first bike. I've done 10,000km (6,000 miles) since I bought it, and am loving every moment. Welcome ssrealty. I live in G'town and work at COTA. I was real tempted with that Griso that AF1 had but just didn't pull the trigger. This is a great, extraordinarily helpful forum. Let me know your next RideSmart and I'll try and look you up in the paddock............ Jack. '16 Triumph Thruxton R "Holy Moly"
I will probably sign up for the Sunday May 26th track day at COTA. I usually sign up with Ducati of Austin and park bike in their garage. I have a 2017 Ducati SuperSport that I use as track bike. I do 2-3 track days each year and love COTA. I live in Leander off 1431 in Travisso. On way to Marble Falls and backyard Texas hill country roads. 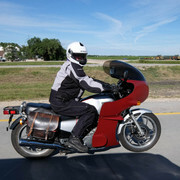 I purchased my Moto Guzzi as third motorcycle last month and have already put over 1,000 miles on bike. Scheduled my first service next week with AF1. I really enjoy bike. It is so easy and comfortable to ride. My Ducati's feel like riding a bull in comparison. Let me know if you want to go on any rides. I try to ride as much as possible. We are lucky to have year round riding in central Texas. Of course, MotoGP is only a few months away. April 12-14. I go every year. Great forum and glad to be here. Picked up a 2016 Norge with only 3000 miles on it a few months ago from AF1 in Austin. Haven't got to ride it much do to work and the weather but really love the bike so far. Feels really light compared to the K1600 that I recently sold. Anthony here from Melbourne Australia. Run a sourcing agency from Italy. Looking forward to chatting / discussing all things GUZZI. Page created in 0.15 seconds with 24 queries.